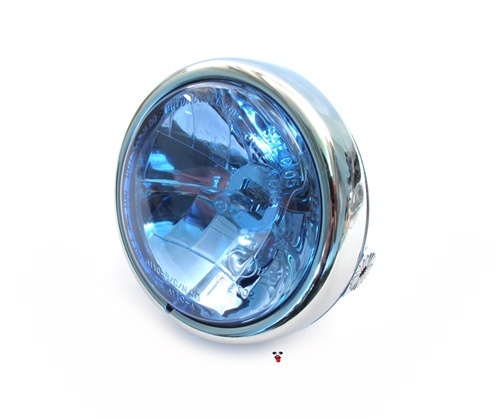 chrome moped head light with halogen bulb and BLUE lens!! about 5 inches diameter. 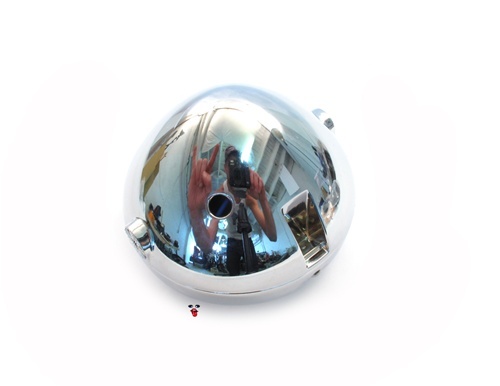 for use on pretty much every moped that uses a 5" style wide head light bracket. very nice quality head light with BLUE glass lens! the lens is 4" wide! uses an H3 12v 55watt bulb!